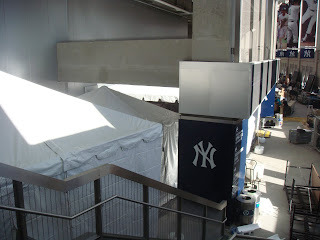 In-Tents: Baseball, Hotdogs, Apple Pie...and Tents! Baseball, Hotdogs, Apple Pie...and Tents! 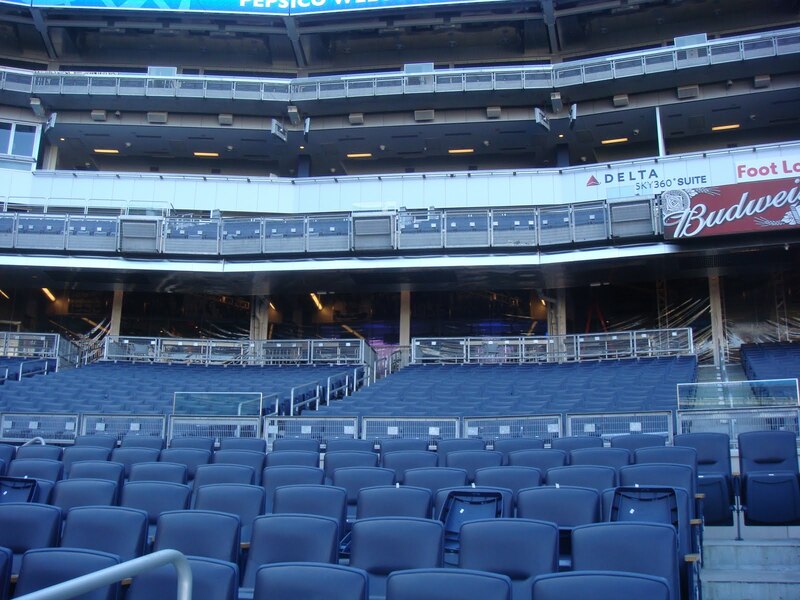 Stamford Tent & Event Services has recently supplied services to one of our corporate clients who held a conference at the home of the World Champion New York Yankees. While I’m not at liberty to share the actual event photos, I have included some of the work below. 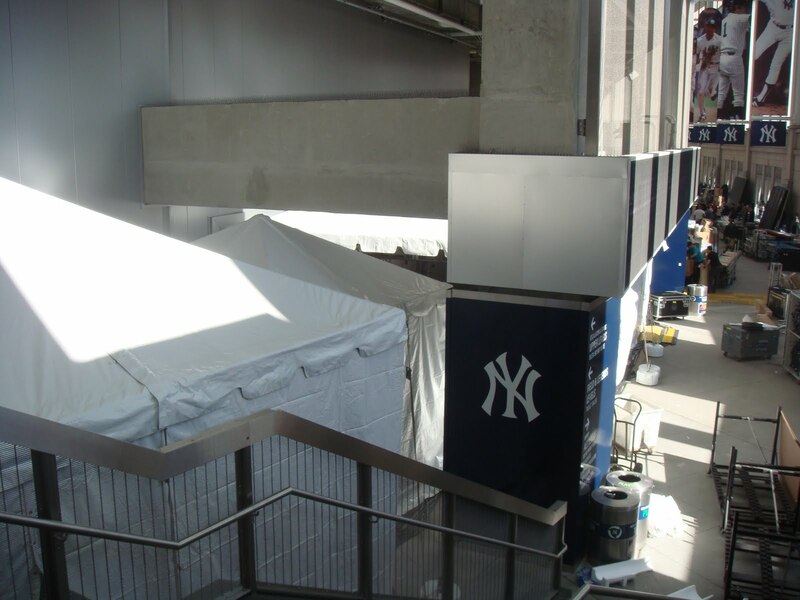 We had enclosed a section of the stadium behind home plate to provide protection from the elements and to trap the heat, provided by Stamford Tent. 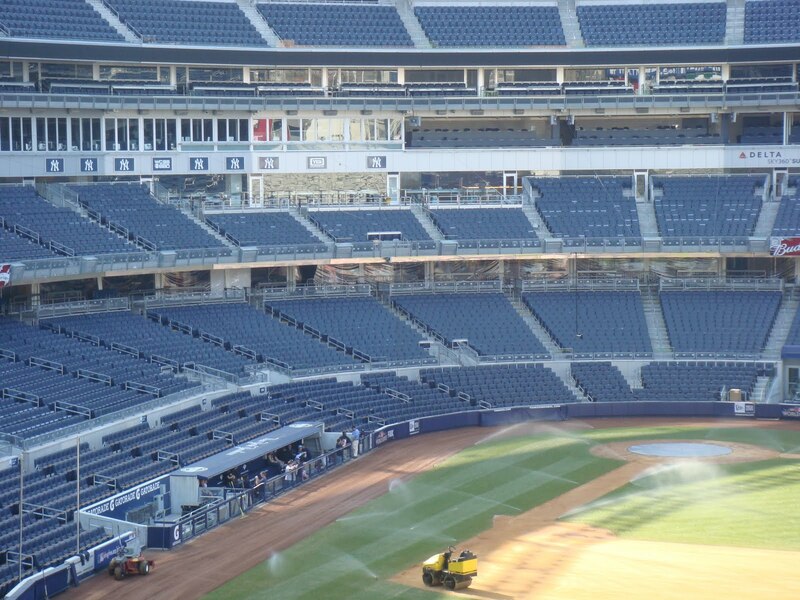 Overlooking the field from behind home plate, we installed clear walls enclosing 7 sections of the stadium. 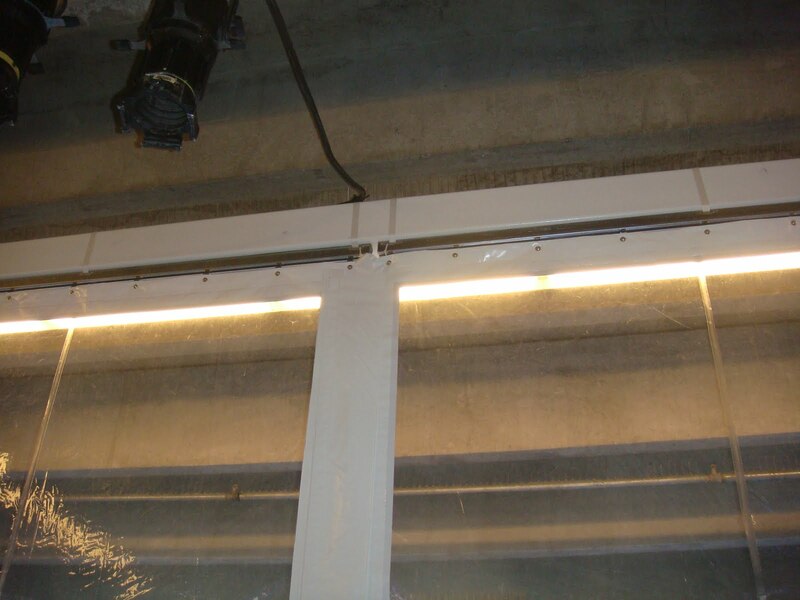 Since the elements involved in such a project were not built into the stadium, there was a great deal of custom work for this section of the project alone. The first photo shows custom built tracking that was affixed – carefully – to the stadium beams. Space within the tracking itself had been routed to accept wheeled guides. 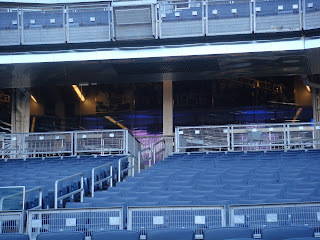 This way, the clear wall opened and closed like stage curtains, with very little effort. 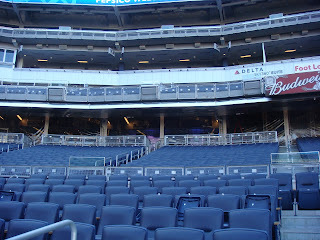 Other photos show some of the area that was tented for the event. In addition, we had provided flooring and carpet throughout the given area. 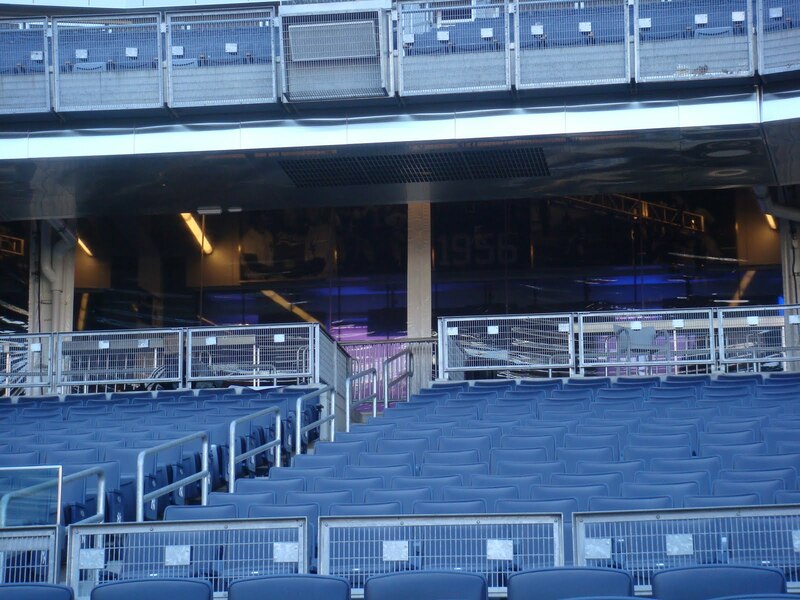 Our clear wall is just below the second deck. 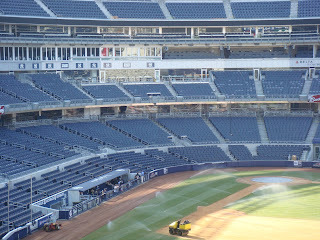 So seamless, you can barely see the clear wall from the field.